BATON ROUGE — A widow is suing Rolls-Royce Corporation, alleging an engine design defect led to a fatal helicopter crash that killed her husband. Colleen Ricks of Grady County , in her capacity as parent, guardian and next friend if her children, KR and HR, minor and as personal representative of the estate of Brandon Seth Ricks, filed a lawsuit March 30, in U.S. District Court for the Eastern District of Louisiana against Rolls-Royce Corporation alleging the aircraft engine provider defectively designed and/or manufactured turbine engines that would develop cracks in the exhaust system. According to the complaint, on March 30, 2015, Brandon Ricks was piloting a Model 206 L-1 Bell Helicopter, on a public use flight near Saucier, Mississippi, and contracted by the U.S. Forest Service to assist in a controlled burn, when the helicopter suddenly lost power. As a result of this engine failure and loss of power, the suit says, the helicopter crashed resulting in the death of Ricks and a passenger, and seriously injuring another passenger. The plaintiff alleges the defendant should have known that the cracks developed in the exhaust system were difficult to visually detect by maintenance providers and that such cracks could result in engine failure and/or loss of engine power. 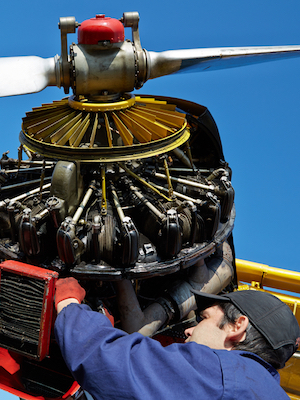 The lawsuit states Rolls-Royce also failed to provide reasonable instructions and/or warnings to maintenance providers that worked on engines such as the subject engine. Colleen Ricks seeks a trial by jury, compensation for all damages and legal costs, full amounts due to KR and HR under the laws of Louisiana, legal interest and for any equitable relief the court deems just. She is represented by attorneys Paul M. Sterbcow and Beth E. Abramson of Lewis, Kullman, Sterbcow & Abramson in New Orleans, and Richard Warren Mithoff, Joseph R. Alexander Jr. and Warner V. Hocker of Mithoff Law Firm in Houston.